The human resource department is one of the busiest areas of the business. Aside from taking care of the payroll and ensuring that the rights of current employees as well as the business’ are protected, this department is also tasked to hire qualified individuals that can add value to the company. There are also a lot of activities and events that are given as a responsibility to this department. If you are a part of a business’ human resource, it is essential for you to have a checklist at hand. There are various human resource checklists that can be used depending on the activity where you plan to maximize its potential. We have listed checklist examples that are used by the human resource department for you to have an easier time identifying which of them is most useful to your current or future endeavors. 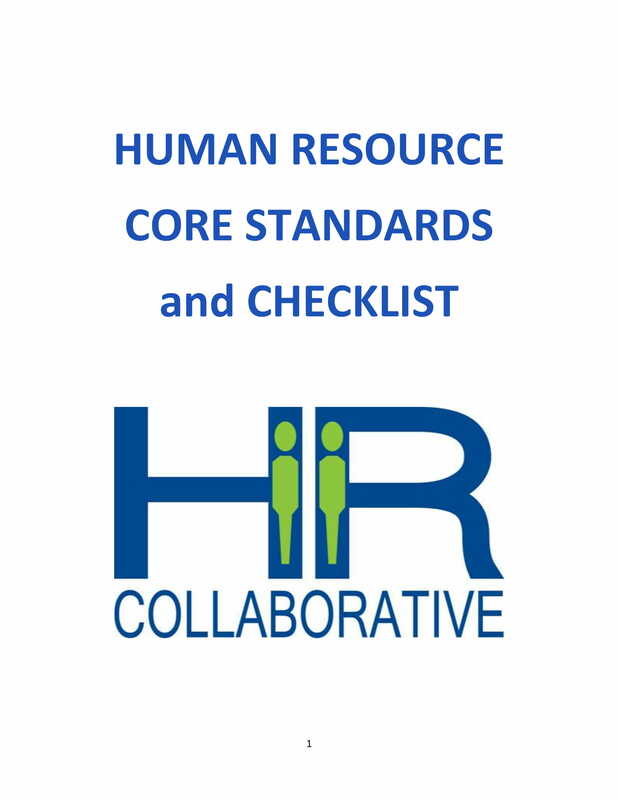 Why Is There a Need for a Human Resource Checklist? Not all businesses are aware of the advantages that they can experience if they will develop a clear and concise human resource checklist. Some even veer away from using one as it is considered as time consuming to develop a human resource checklist especially if the activity where it will be used is not related to a major event or business process. Lack of knowledge about the benefits of having a human resource checklist allow this circumstances to happen. A human resource checklist ensures that all regulations of the business are followed especially during the implementation of hiring processes, employee termination and other business activities. It is important for these processes to be as objective as possible to make sure that no one involved will be treated unjustly especially the employees. Human resource checklists can specify all the information that is needed to be known by all parties involved in a process or an activity which is the reason why it can lessen possible misunderstandings. More so, it contains accurate and updated details that can remove the potential existence of misleading and unrealistic information. 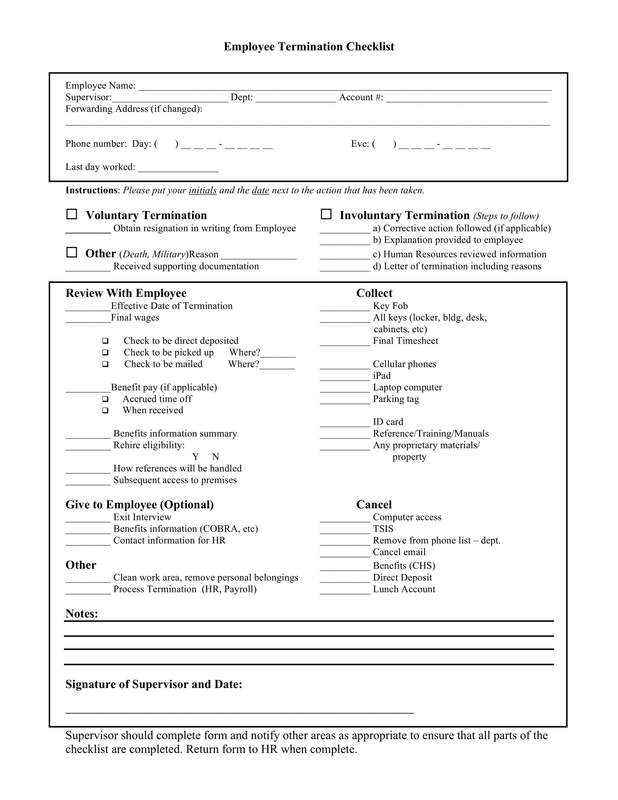 A human resource checklist provides organization to the human resource department. Since there are different tasks that are handled by this department, with most of these having deadlines and particular time frames of execution, there will always be a chance for people to multi-task. If a checklist is already at hand, there will be a smoother flow of process implementation which will benefit not only the human resource department but the entire business as well. 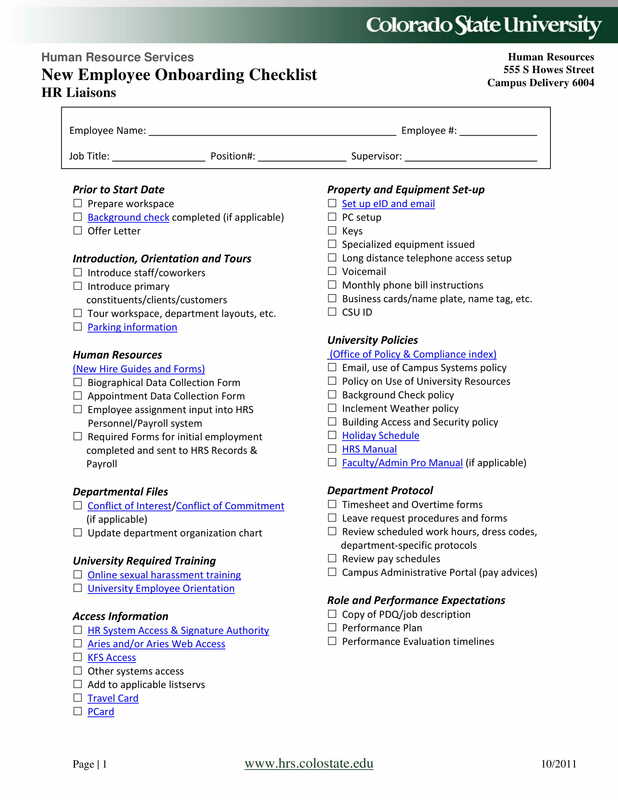 A human resource checklist can showcase the priorities of the department. Since there are various checklists that can be used, there are also different ways on how priorities can be listed. 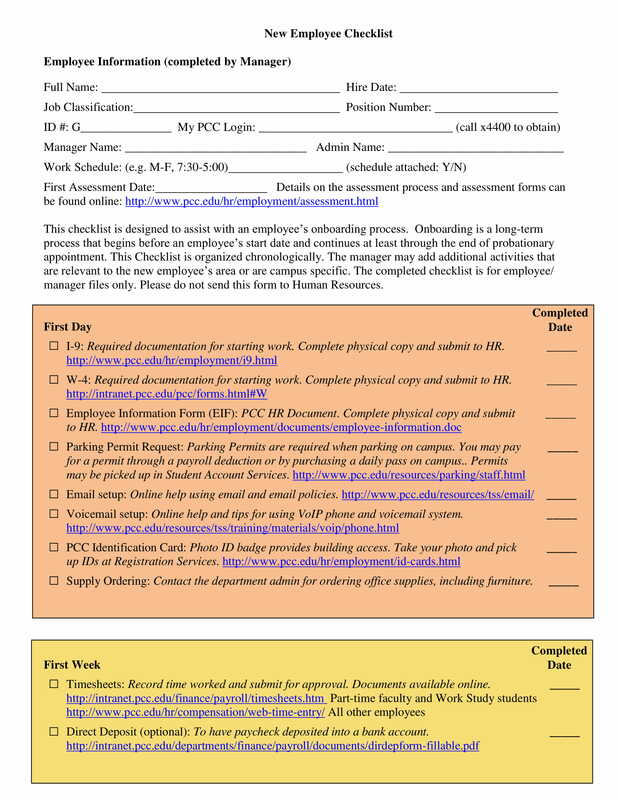 As an example, a hiring checklist can specify all the important and minimum documents that should be collected by the department from applicants for the work application of these candidates to push through. A human resource checklist can separate human resource tasks from one another. With the number of work processes that should be implemented from time to time, it is essential for the human resource department to have a number of checklists that can specifically guide them on what to do first. This is also the reason why there should be a thorough checklist that will be used to update the usage of all the other minor checklists used by the department. 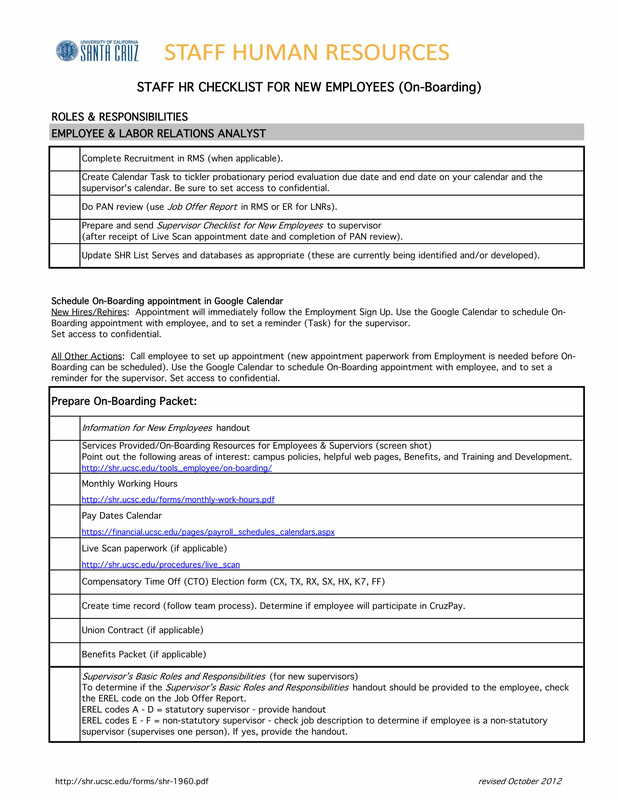 You can benefit from using a human resource checklist when recruiting potential and qualified work applicants. There are different hiring activities that the applicants will go through and you should ensure that you are well-guided when it comes to the implementation of these activities. Have a checklist from the initial gathering of needed documents, the interview flow, the work examination even up to the offering of the job post to the most qualified candidate/s. 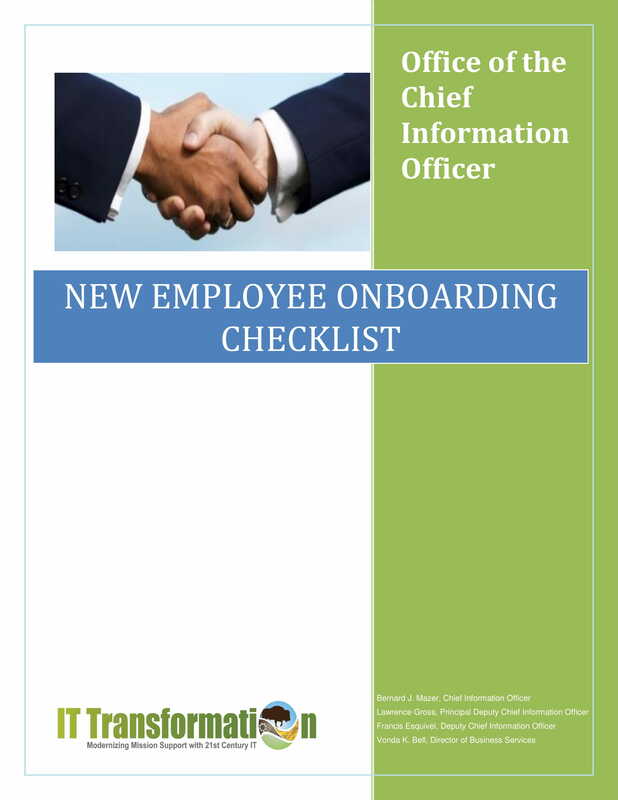 You must have a checklist during your on-boarding for new employees. Since you are handling people who have a few to no knowledge about the company and its operations, you have to make sure that they will be well-informed about the business. Product knowledge is very important as it can affect the daily performance of the workforce. This is the reason why you have to give all the needed information of new hires especially in relation the the responsibilities and expected deliverable of their work designation. You should ensure that you will use a checklist in all the activities that you will implement to improve the relationship of the business with its employees. The workforce of the company needs to feel that they are protected and well taken cared of so they can function at their best in the workplace. A few of the processes where you can use a human resource checklist relating to this matter include one-on-one consultations, closed group interviews, work updating, appraisals, promotion and the like. You can also have a performance management checklist so you can easily identify how you can help your employees to further improve with what they are doing. 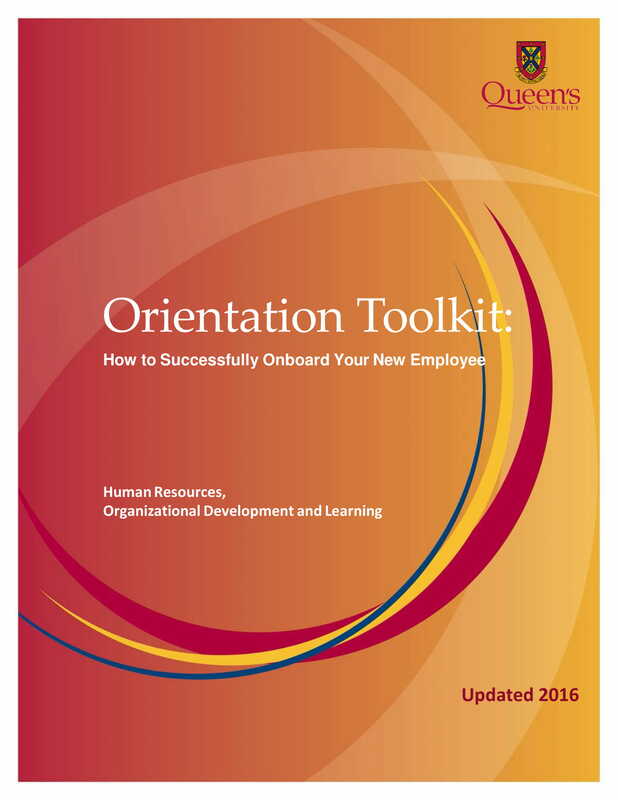 You need to remember that it is important to use a human resource checklist for training. Your employees need to be updated with industry trends as well as how they can be of help for the business to maintain its sustainability and competitiveness. Training programs need to be organized so that you can properly plan the entire activity which can help develop the skills of your workforce. 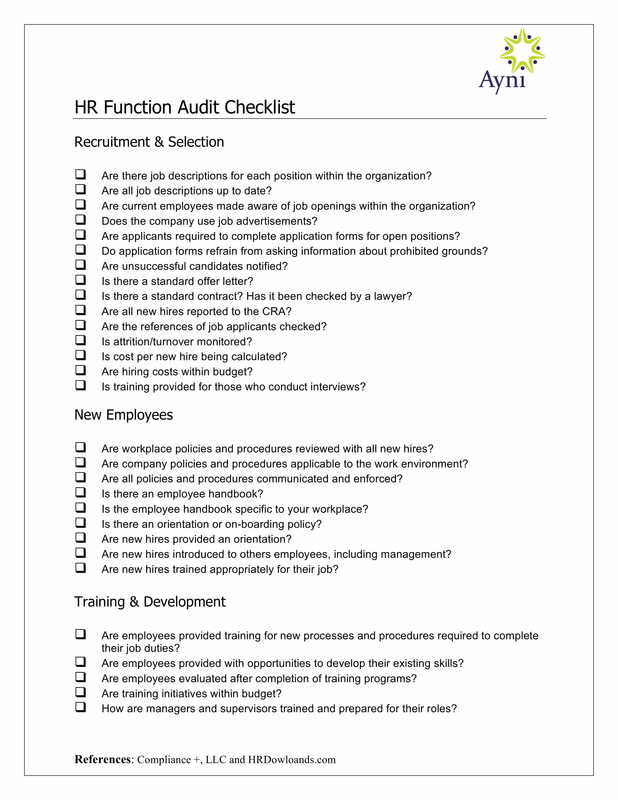 You can use a human resource checklist if you need to organize business reports. Checklists are great tools when you are in the process of bookkeeping and document storage as you can easily check all the important documents that you need to record and safe keep. You need to have a human resource department if you are developing the payroll of the employees. The compensation of your workforce as well as the benefits that they are entitled with must be listed and recorded accordingly for purposes of proper salary allocation, auditing and corporate financial reporting. 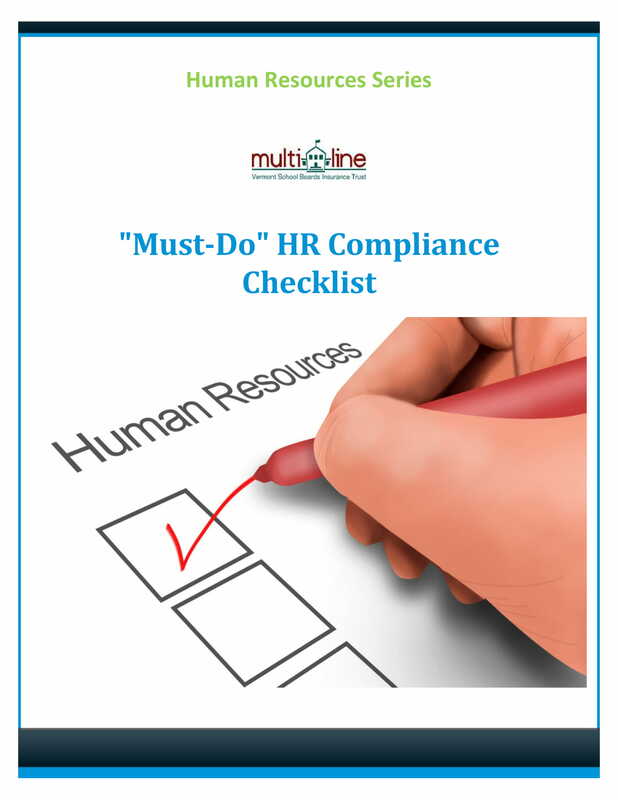 You may use a human resource checklist when organizing all the items and documents that the business need to fulfill for reasons of compliance. Having a checklist can make it more efficient for you to know if you have already updated your regulations regarding workplace safety, total quality management and employee heath considerations. More so, it will allow you to easily list down the legal documents that you need to file for continuous business operations. You should develop a checklist if you are plotting the organizational design of the company, especially if you are a start-up business. You need to clarify all the items regarding the structure of the business as it will be used as a reference for building the teams of the company. More so, you need to specify on the checklist on how the reporting of work will be done based on the design of the organizational structure that you have developed. 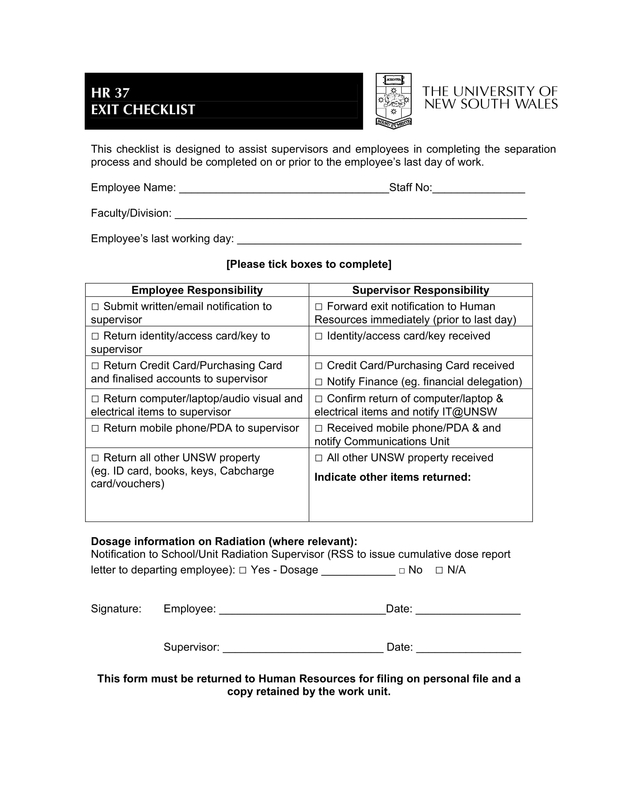 You can use a human resource checklist when terminating an employee. 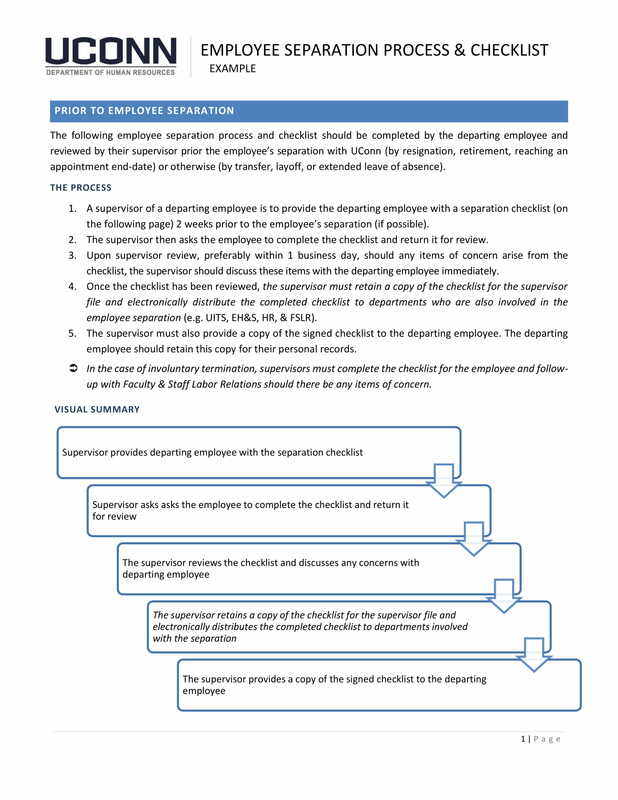 May it be a voluntary or forced termination, a termination checklist can help you properly implement all the activities that should be followed by the employee so that the rights of both the business and the terminated employee can be protected. Identify the purpose or the reason why the checklist is needed by the human resources. Make sure to review the activity or the process where the checklist will be used. Before developing the actual checklist, list down the items that you need to fulfill or execute in a draft. Assess the items that are placed in the draft and arrange them in a certain manner– may it be logically, chronologically, or in any other way that you want to implement the items that you have listed. 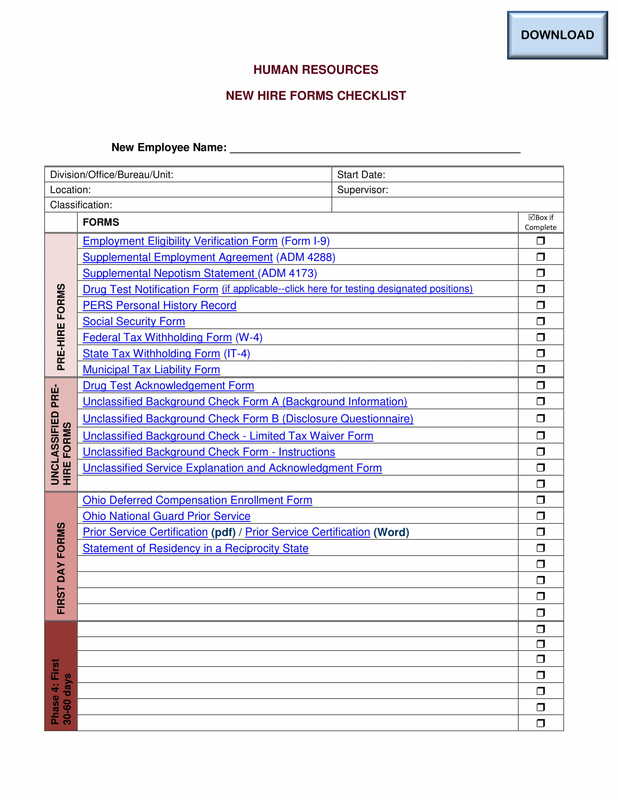 You can create the actual HR checklist format from draft or you can also refer to templates so you can have a faster time when developing your hr checklist layout. List the arrangement of your call to actions while being guided by the format that you will use. Look at the final HR checklist that you have created and make sure that all information are complete. Decide whether there are items that you need to change and improve before using the checklist in the human resource activity in which you have made the checklist for. Make sure that the HR checklist that you will use can help promote a more effective human resource management. The more precise, arranged and direct to the point your HR checklist is, the more it can further improve the activities that will be executed by the human resource department. Ensure that your HR checklist is comprehensive. If you will have a complete checklist, then it is most likely that the HR department will not forget any items that are important to be implemented. The completion of the human resource checklist can also make it more efficient for point persons to provide their deliverable especially when executing call to actions that follows a strict time table. 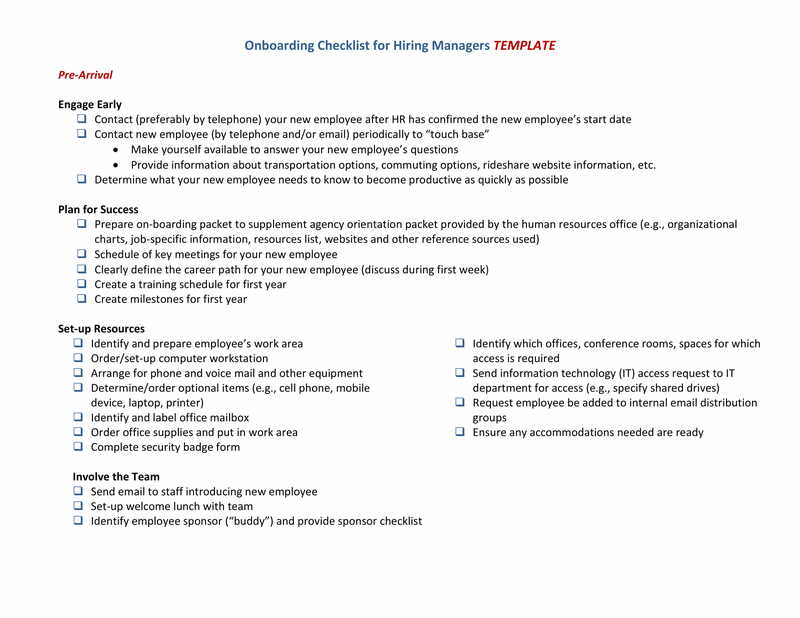 Develop an HR checklist that is organized and well-presented. The people to whom the checklist is for should easily understand the content of the checklist so they can perform the tasks given to them accordingly. An organized checklist is easier to browse which is why it is imperative for you to properly arrange the content of your HR checklist. 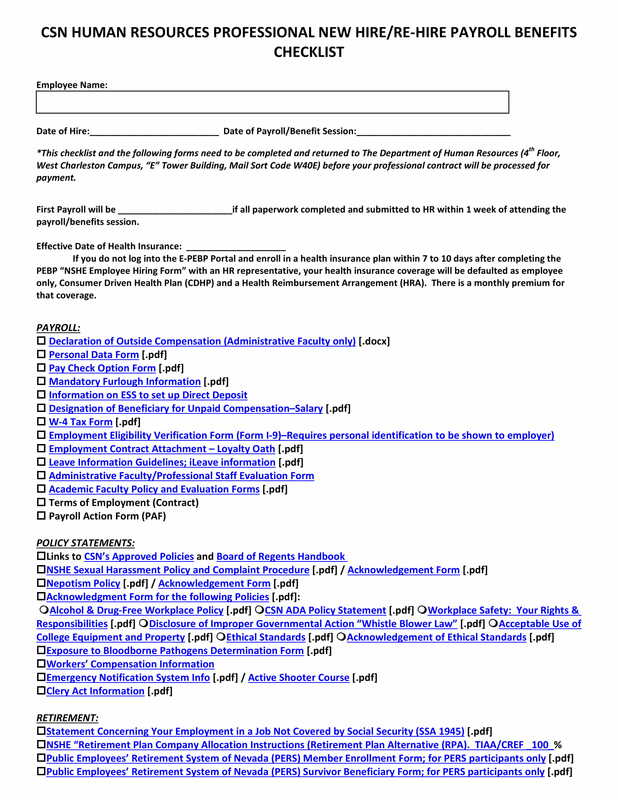 Just like when making a construction checklist, it is important for you to include all the entities involved in the planning and implementation of the hr checklist content when making the actual checklist. Doing this can make the HR checklist more effective as its creation is a collaborative effort of all the stakeholders that can be affected by the usage of the checklist. Create an HR checklist that is based on the activity where it will be used. Being clear with the purpose of the hr checklist usage can help the department fulfill necessary duties. Also, having clarity can realistically measure the attainability of the items listed in the HR checklist. 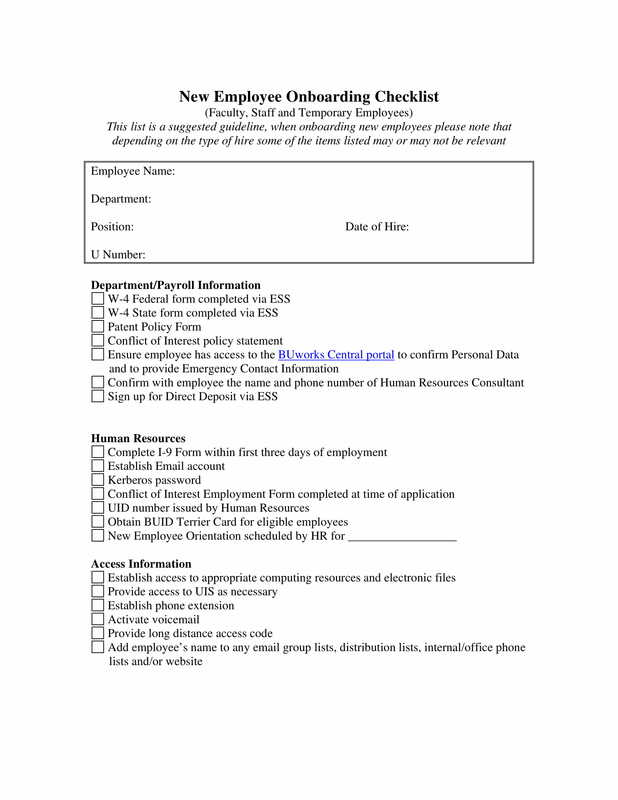 Can HR Checklists Work Against the Business? An HR checklist can be inefficient if the information that you will include in it are not updated. 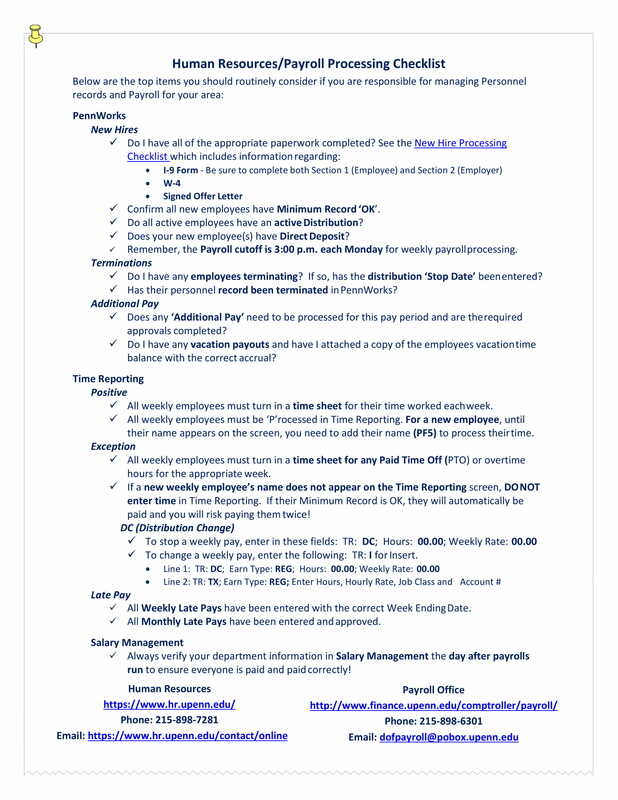 There are some instances where an HR checklist is based on previous checklists that are used by the department. 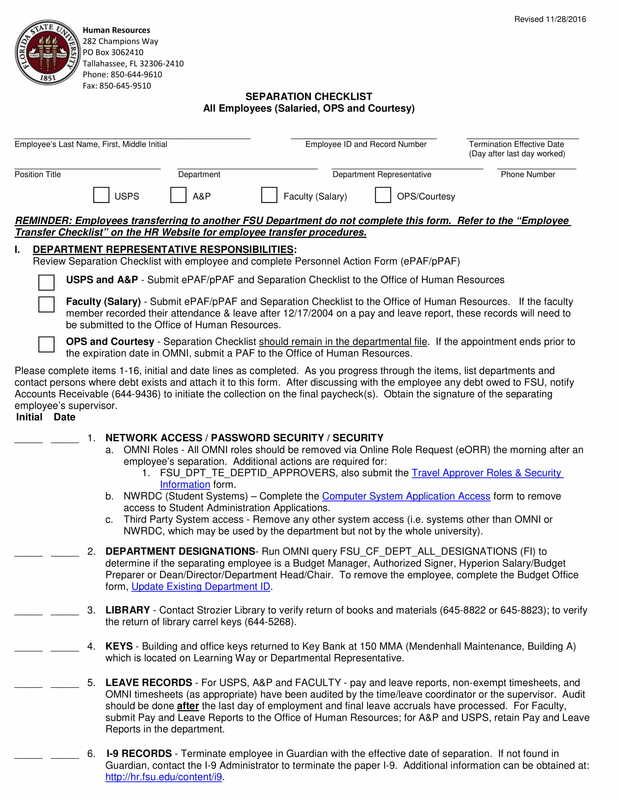 Since checklists can serve as a reference of what worked and what did not during a particular process, the human resource department will most likely keep previous checklists for reference purposes. This is a good way to improve activities if the checklists will be assessed accordingly. However, it can negatively impact the business if the items that did not work will still be included in the new checklists. Using an HR checklist will not give a positive effect to the business if it contains immeasurable and unattainable content. No matter what outstanding your checklist looks like, if the items that you will include in it are unrealistic there is not way that it can help the business. You need to consider certain elements before doing the HR checklist which includes the capability of your workforce, the resources of the company, and the time table that needs to be followed for the execution of the hr checklist content. Having an HR checklist that has not been reviewed and evaluated can provide potential risks to the company. This is the reason why HR checklists should be assessed first. 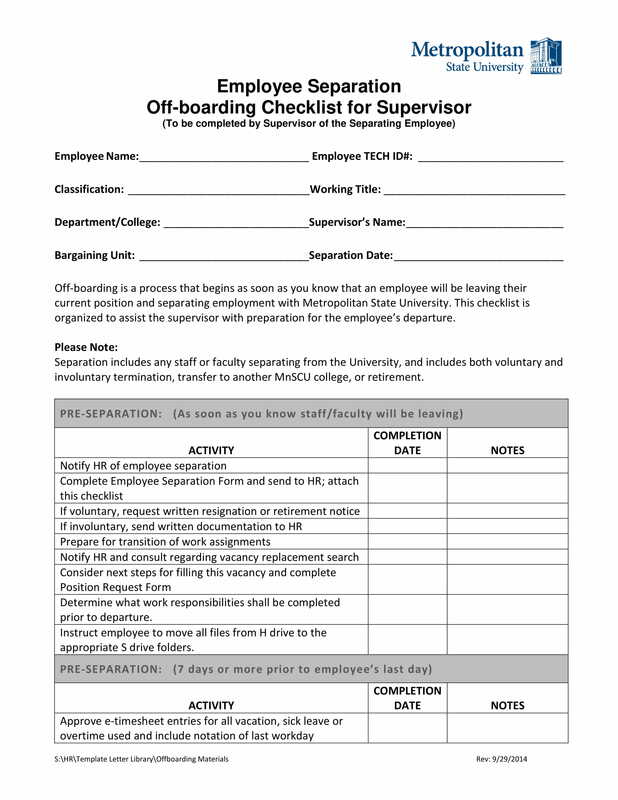 As an example, a human resource checklist developed by an associate or a human resource assistant must first be seen by his or her supervisor. The comment and suggestions of the human resource manager or director can also be of help. The more people within the department that can provide essential inputs, the more the HR checklist can be refined. Not discussing the call to actions and responsibilities of point persons can remove the effectiveness of an HR checklist. Especially if you will develop a task checklist, it is very important for you to ensure that all entities involved in the process of using the hr checklist are aware of their responsibilities. A thorough HR checklist can help employees in the department know how they could be of help when it comes to successfully implementing the call to actions listed in the checklist. Planning to Create an HR Checklist? Making an HR checklist should already a part of the processes of your human resource department. If you want to achieve a smooth flow of process and activity implementation, having this document can truly be of help. The presence of a human resource checklist can also ensure that all the details within an activity will not be forgotten. From strategic planning checklists up to resignation and termination checklists, your business surely has a wide range of HR checklists to choose from based on the human resource activities that you would like to polish, improve and develop. Other than the samples that are present in this post, there are still many kinds of human resource checklists that your business can use. When selecting the HR checklist example to refer to, ensure that you are aware of the activity where you will use it. 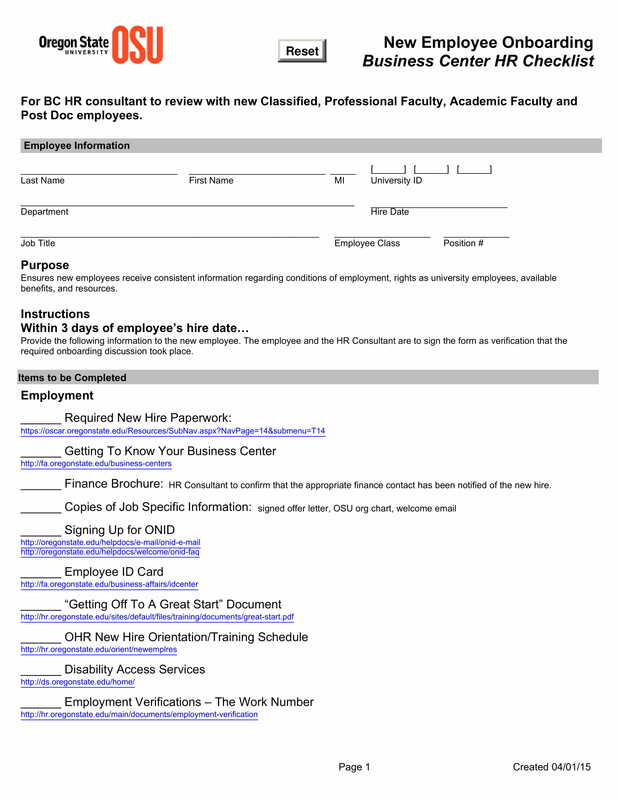 Since there are a lot of human resource checklists, the content and format of each example vary from one another. Be keen when selecting your references so you can fully maximize its usage especially when guiding you with the content that your own HR checklist should have. There is no harm when making an HR checklist as long as you are guided by the tips and simple guidelines that we have included in this article. Try making your HR checklist now and identify the changes that it has brought to the human resource department and its activities– may it be on a daily basis or for special projects, programs and processes.